Smooth and charming, Americana/Folk-Pop artist Randie O’Neil has independently released multiple albums, EPs, and singles over the years, and is soon to release the I’m Not That Girl EP in June. Playing numerous live shows O’Neil has become a strong presence in the Tri-State area. Her storytelling comes from a sincere place, working as an adolescent intervention specialist by day, brings a real-world perspective to her lyrics. Drawing on her own life story she conveys a message of understanding and courage to face problems that almost all of us experience at some point in our lives. O’Neil doesn’t consider herself a foodie. In fact, she likes to keep it simple and s happy with a burger most anytime. In her travels she has come to realize that not all burgers are created equal. 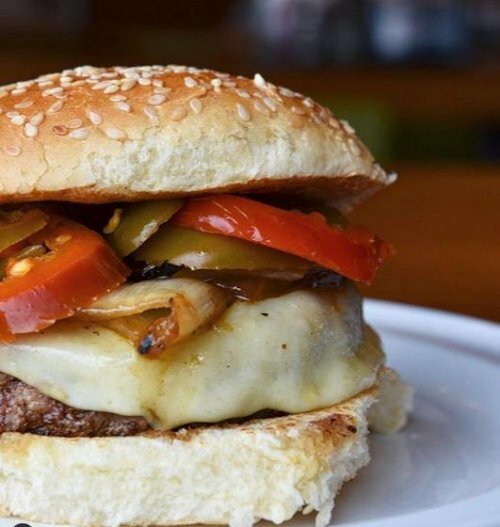 Here’s her picks for the Top Ten Best Burger Joints in the Tri-States. Must give it to Bobby’s Burger Palace in Bergen County. Really has a good burger that doesn’t need much on top to fill out the flavor. Juicy with a really good bun. Line up service so casual but good food. If you’re looking for some wine with your burger, ZinBurger is the spot for you. The burger is a bit firm but full of flavor. Sides are interesting and a step up for a burger place. I admit that it could be having my two favorites things in one place that puts Shake Shack so high on my list. The burger is solid and shakes outstanding and it brings me to my happy place. I have to say that this pick is a little inconsistent but Red Robyn routinely delivers a really great burger. Think it’s the best thing on the menu and is a solid stop for a burger. If you’re looking for organic, Bareburger is the way to go. Nothing over the top but a solid choice for a sit-down casual dinner. Who says organic isn’t fun? Well maybe I’ve been influenced by Karaoke night, but I thought this was a really tasty burger and they let you substitute vegetables for fries. Burgers your way is my paradise. Join the Lunch Bunch. Meals starting at just $8 every Monday – Friday from 11 AM to 4 PM. I generally will rate burgers based on basic condiments. The truffle mushroom Swiss burger however is hard to ignore. This really is my guilty pleasure. Time this stop just right, and you get a great juicy burger and they will sing to you!! Just a really fun stop right down to the décor, with an innovative menu items including hand-crafted burgers, shakes & fries. Don’t miss the floor show! As a step above fast food, I have to put Five Guys on the list. A consistently good burger cooked in the open with fresh ingredients. Solid choice and worth it to splurge for the fries. I know, I know but they haven’t been in business this long without a reason. McDonalds has a good burger and you can’t beat the price.